Let our pool, spa and water quality experts help you pick the perfect products for your home. We offer everything you need to build and maintain your backyard paradise! Get instantly pre-approved to finance your new hot tub or pool with low interest rates & terms up to 15 years. 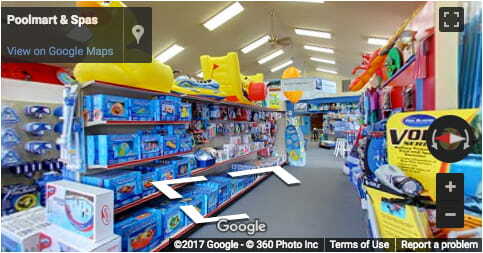 The Best Resource for Above-Ground Pools, Hot Tubs, Pool Supplies and Patio Furniture in Clarkston, MI! Not only do we offer high-quality pools, spas and accessories, we're known as Southeast MI's water quality experts! Poolmart & Spas was established in 1980 with a different goal from that of its competitors: to take water chemistry to the next level. At the time, water chemistry was a hit and miss "give it your best shot" proposition. We wanted to find out the root causes of the problem rather than just try to cover up the symptoms. In other words, we felt that cloudy water, algae, funky odors and itchy skin were caused by something, and we were going to find out what. We discover the underlying causes of any discomfort stemming from your pool water and find the solution that will eliminate the problem(s) for good! We continue this philosophy today to resolve the problem, not simply put a band-aid on it. We have tried over the years to stay on the leading edge of all the new technology and innovation that has flooded the pool industry. Our duty to you as our customers is to protect you the best we can. If something works, we will offer it. If you see something magical and it sounds too good to be true, ask us before you spend your hard-earned money. There is probably a good reason why we do not carry it! We're an Authorized Dealer for Doughboy Pools - A Leading Manufacturer of Above Ground Pools! Poolmart & Spas has been an authorized Platinum Doughboy Dealer since 1980; we're Clarkston’s Original Dealer! Doughboy is the largest, most respected name in the above-ground swimming pool industry. Doughboy is much more than an above-ground pool manufacturer, they're committed to supplying you and your family with a total pool system. In addition to being a local authorized service center for Doughboy Pools and Artesian Spas, we also service Hayward, Polaris, and most other makes and models of hot tubs. We also assist DIYers with a wide range of parts and accessories in stock. 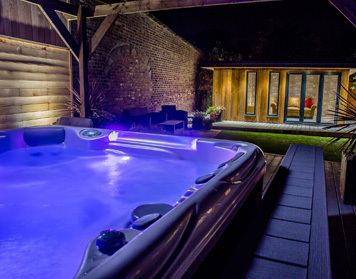 We offer a monthly service so your hot tub is ready for you when you are ready to use it. Are you ready to make the most of your property? Contact us today more information or visit our store for a demonstration of our products!